Delivering outstanding solutions by leveraging innovative design, advanced engineering and a passion for precision. We began in 1986 as a specialist tool and die provider for advanced electronics manufacturers who required precise, reliable tools. 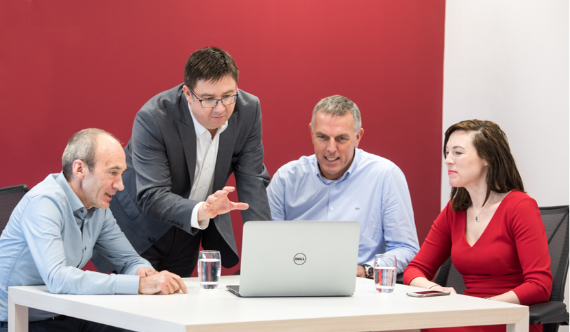 Today, with the same commitment to excellence, we deliver complete automation integration solutions to customers in Europe, North America and beyond. Our team includes mechanical engineers, software engineers, integration specialists and many more, all committed to always delivering solutions, including custom automation solutions and equipment that enable our customers to do and achieve more. The right solution is the one that works, every time. In 30 years we’ve never not delivered, never let a customer down, and we believe that’s a reputation worth fighting for in a world of automation that’s littered with failed projects. A customer needs to know from the get-go that you’re going to make it happen. That you’re going to jump all the hurdles, bend with change and deliver the right solution, working perfectly and totally reliable. No buts. No nearly. No maybe. Doubled factory size to 25,000 sq. ft.
We began by making tools, crafting and machining pieces that fit and performed to perfection. Today, that same passion for precision, efficiency and elegance is evident in every Modular solution. We believe in our team and our work—that’s why we can commit to always delivering for our customers. We hold ourselves and everything we produce to the highest standards of quality. We deliver outstanding automation solutions to some of the world’s most advanced manufacturers.